For anyone who’s lucky enough to have Oakland in their future travel plans, there’s a new visitor center awaiting your arrival. Even better, that new visitor center has two giant cork maps. Most folks who walk through the door at Visit Oakland are looking for local insight. What’s should we see? Where should we go? Which restaurants are best for brunch? How do we get to the zoo? You get the idea. To answer all those questions and help newcomers get their bearings around town, Visit Oakland commissioned our biggest cork maps to date. 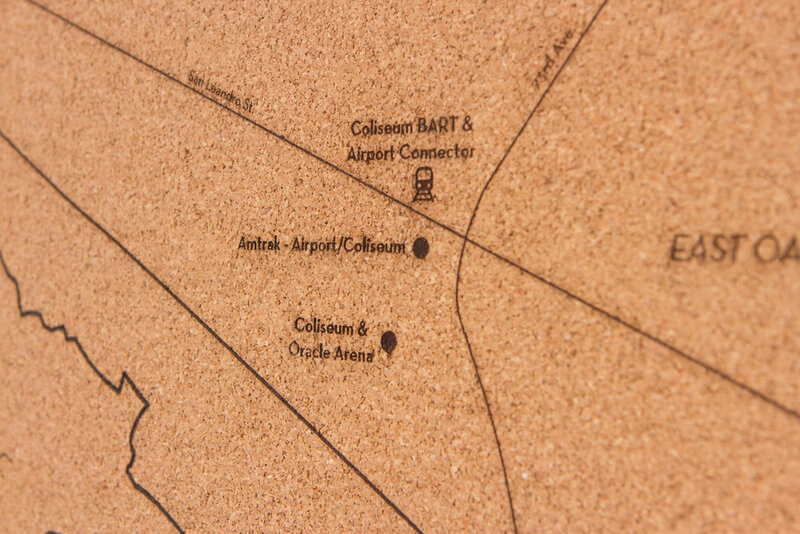 We created two custom maps for the new space: a local map of Oakland, and regional map of Northern California. 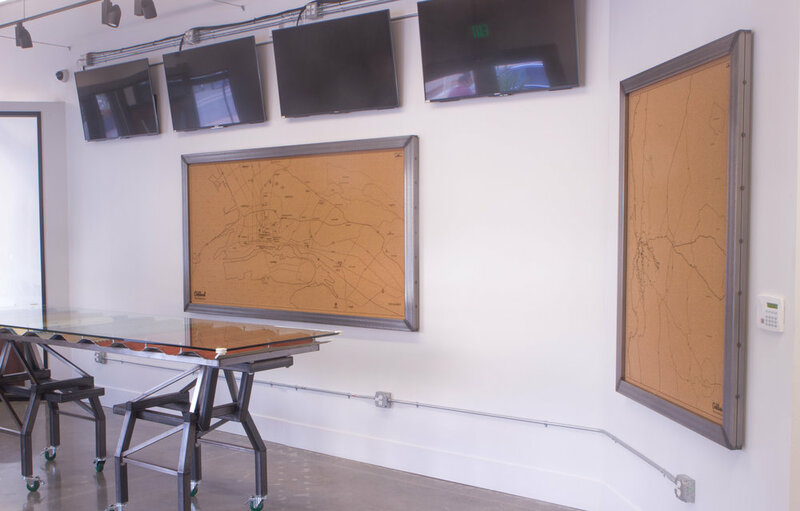 With 48-square feet of cork, these maps are monsters. Added bonus: I got to partner up with Shawn HibmaCronan, who built the beautiful steel frames for these maps. He's also responsible for that steel + glass conference table in the middle of the room. Need a custom map of your own? 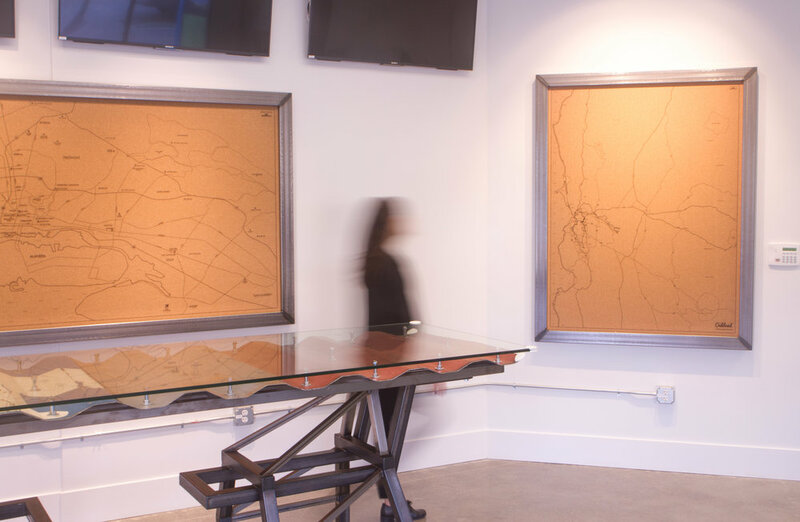 Let's make your office/lobby/conference room/living room the talk of the town. Get in touch to start the process.